I did get a discount for renewing Le Tote after some time away, so yay for that incentive! There was a small mix-up with my subscription plan this month, so I ended up getting a different package than usual (more on that later!). I ended up with four garments: three dresses and one top. The Summer & Sage Cactus Tee ($46, LT price $38) arrived in a large, but sadly, it just wasn’t for me. It was a cute color, but the fit, fabric and embroidery didn’t fit my overall style, so it didn’t make the cut for picture time. Renewing Le Tote was mainly about some night-out dresses. And I have to be totally upfront here: renewing Le Tote at a time when I’m not feeling the best about my body was a tough call. I honestly wasn’t sure my tote picks would even fit. The Ava Off Shoulder Bow Dress ($78, LT price $64) was a beautiful pick for a night out, hugged in all the right places, and made me feel like a Disney princess, if she was played by Scarlett Johansson in her redheaded days. Talk about a confidence boost! This was a size medium, which I worried might be small, but I think it fit so well due to the fabric, which was stretchy yet slightly firm. This was a lot shorter on me than on the website model, who was my height but had a much slimmer build, which makes me suspect that these dresses are made to fit much better if they’re not curving over hips and booty. Still, it was long enough and I loved it. The next item was the Noir Side Insert Dress ($82, LT price $34). This was also a size medium and featured the same firm-stretchy fabric as the Ava dress, but it was too tight in the stomach and too short on my 5’8″ frame. I think it’s supposed to be “business casual” but the only way I could see wearing this dress to work is if Tony Stark is your boss and you’re secretly an undercover agent masquerading as a pretty secretary. If this had been a bit looser in the middle and several inches longer, I would have adored it, because the side inserts and “belt” made for a very flattering illusion. Finally, there’s the 818 Cut Out Dress ($78, LT price $23). This was a size large and fit perfectly. The fabric was much thinner than the other two dresses but I still think it had a flattering drape. Again, it was much shorter on me than on the website model. What I like about this dress is that it was cute with cage heels and bare legs but would also work great with leggings and booties in colder weather. The color was super flattering too! I could see wearing this over and over, season after season. When you sign up you’ll choose a monthly subscription plan, ranging from $49 to $79 depending on the number of clothing and accessory items you receive in each tote. (Optional insurance, in case you spill or tear something, is an additional $5 per month.) Plans auto-renew monthly but you can change or suspend your plan each month as you like. I was on a plan of five clothing items and three accessories but due to some issues with reactivation and changing plans, I got one tote of four clothing items this time around. I’m actually thinking that I like this better since I don’t usually end up liking the accessory options, anyway, so it doesn’t seem worth the extra money. If I end up renewing Le Tote for June, I’ll probably stick with four apparel items and zero accessories. You have the option to purchase items from your tote, often at a steep discount. I kept the 818 dress because it was so cute and such a good steal! 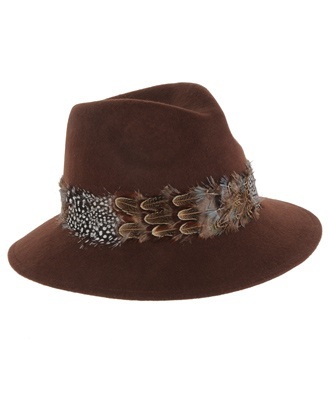 Le Tote also offers members-only sales that let you pick up a mix of mid-priced designer labels at a deeply reduced price. 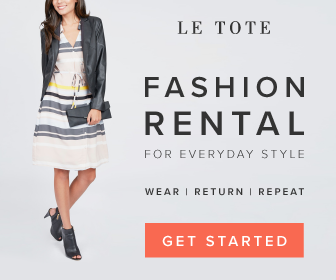 If you’d like to try Le Tote for FREE, you can do so using my affiliate link! You’ll get to try out a tote for fourteen days. If you’re not thrilled, you can easily cancel your subscription. I want to add here that even though there was a mix-up with my reactivation, ultimately, renewing Le Tote was easier than most subscription services I’ve handled thanks to their excellent customer service. So if you have a need to pause, cancel, or otherwise alter your plan—they’ve got you covered! So…what are the pros and cons? Obviously, my biggest issues continue to be fit and taste. I had a few totes in between now and last fall that were pretty hit or miss in both departments, but since I covered this pretty thoroughly in my last post on Le Tote, I won’t beat that horse again. The matter of the monthly fee is totally a personal decision. On a monthly basis, I couldn’t justify it. This month, I know I have events planned that require more than the sole skinny-jeans-and-gray-tee uniform that currently fits me, but I don’t want to spend money on clothes I may only wear once. In this case, renewing Le Tote was the perfect solution. If you didn’t have a job or social events that called for a revolving wardrobe of a certain style, or you didn’t like loaning items, you might really dislike this service. For my part, I enjoy using it occasionally and putting my account on hold when I know I don’t need it. Have you ever tried Le Tote? 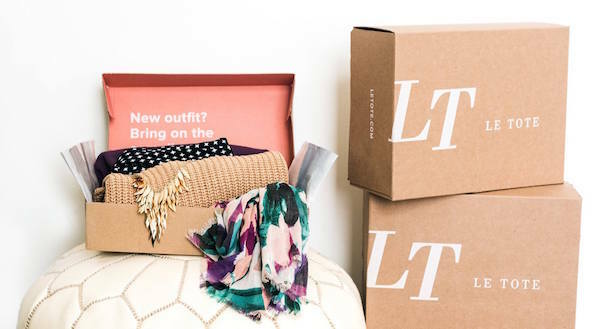 What about another fashion rental service or subscription box? How do you bridge the gaps in your closet when your weight and lifestyle are changing (weight loss, pregnancy, etc.)? And please—tell me where a tall girl can find dresses long enough for her body! I have so much trouble! Le Tote definitely classed up my work wardrobe! I think as much as clothing box subscriptions try to tailor to the user they definitely have an overall “vibe” and some will sync better with a person’s style than others. I haven’t tried Stitch Fix yet but this is my second style subscription I’ve tried this year and overall it’s pretty decent! 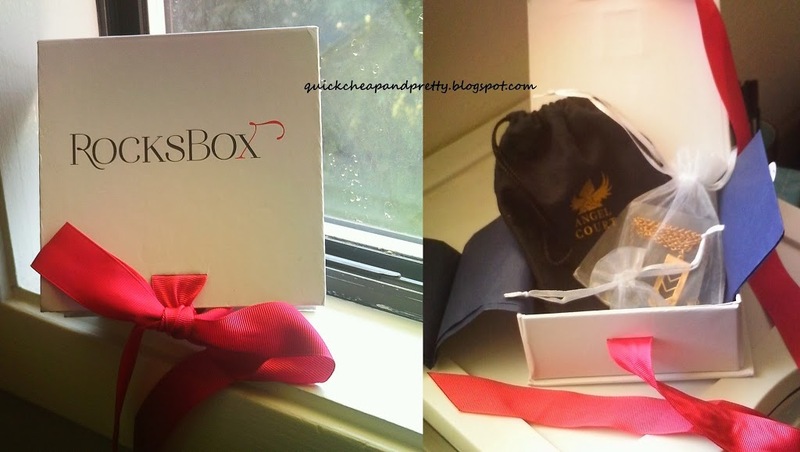 I also tried it last year when I was in a more casual phase and it didn’t fit quite as well, but I think that was more a matter of personal circumstance than what the box had to offer. 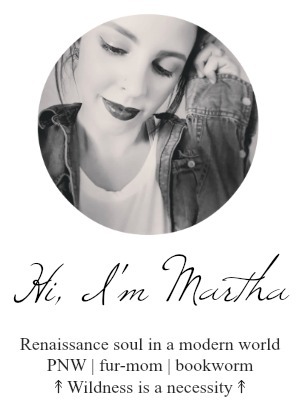 Hello Martha,you look really stylish in this outfit. That blue dress look cool on you. The collection of your dresses are awesome. Thank you and keep posting!